Logistics are an integral part of most businesses that involve transporting goods, equipment or material on a regular basis. Those involved in the business are well aware of the high logistic cost that is incurred by the company. These can sometimes to lead to marginal losses for the company and occasionally for the clients too. There are ways to reduce the logistics costs of a company and save up a lot with proper management and efficient handling. Let’s take a look at a few ways you can reduce logistic costs for your business and higher your profits. This is something that we should begin and not just in the logistics sector but in every possible department. Organised operations are necessary for the efficient utilisation of the resources available. You can use dedicated logistics-based operations management system for your requirements and keep everything on track. This makes sure that you are using only the required fleet and nothing extra. While having organised operations, you can check future and past deliveries and systematically associate them with the current transporting goods to be delivered. Mishandling of goods or partial knowledge about it can lead to disastrous results and hence it becomes necessary to facilitate management software and implement it orderly. One of the biggest mistake people make is not investing in the maintenance of equipment, machinery and other commodities present. Regular maintenance of every working machine in your factory, industry or necessary for transportation should be undertaken. Don’ wait for it to breakdown to be repaired with higher repairing costs and increased downtime losses. Investing in maintenance is much smarter than spending huge amounts for repairs. Having planned alternatives in case of breakdown can also help in reducing downtime losses as well if that’s something you would want to work on too. While this may sound hard it’s something that needs to be done in a business and especially when it comes to logistics. It is important to analyse each shipment that is being sent out and how much labour is going to be actually required to comfortably load or unload the goods or materials. Hire only the number of people required. It is better to have five efficient labours than 8 inefficient labours. That way you can pay lesser people better and get more work done. It is an efficient way to get things done quickly and also saving up some money. European trucks are one of the best in the fleet industry. Loading and unloading goods on trucks is an on-field work and needs to be done with utmost care to make sure that none of the goods are left behind. 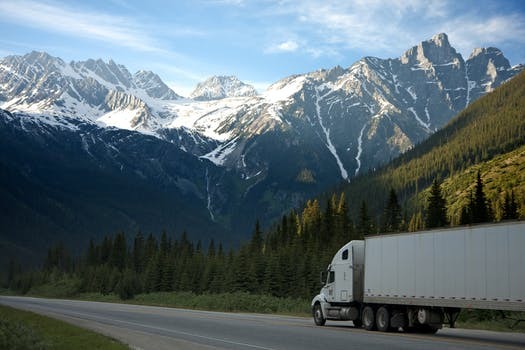 However, many times only half the capacity of the truck is filled leaving the other half empty and unused; which in-turn affect the overall cost of goods. In such cases, two different shipments can be clubbed together to reduce logistic costs. One can also use lightweight packaging and compact boxes to reduce the bulkiness. Every centimetre of packaging reduced can contribute significantly to accommodating a higher number of goods in a single truck. Less weight would also mean less load on truck’s engine/power and reduce consumption of fuel. Managing suppliers is a great way to reduce logistic costs. Diplomatically handling suppliers and devising efficient shipping plans to the client is very helpful in reducing costs. For instance, instead of sending goods to your warehouse, the supplier can directly send it to the client’s place and this would reduce the trips the same shipment has to take. Purchases can also be made efficiently. Bulk orders are a great way to reduce logistics costs as everything can be transported in one go. This is essentially a part of the supply chain management system. Technology in every sector has been advancing and apart from these general ways of reducing logistic costs, you can also implement tools for efficient management of logistics. Execution is the key and once you have a plan, make sure the right people are employed to execute them flawlessly.